Slip, hbk, 2 vols, 6 x 8 in. / 296 pgs / 450 bw. Edited by Martino Stierli, David Brownlee. 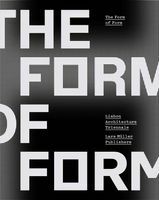 Text by Jean-Louis Cohen, Lee Ann Custer, Peter Fröhlicher, Diane Harris, Andrew Leach, Mary McLeod, Stanislaus von Moos, Joan Ockman, Emmanuel Petit, Martino Stierli. Contributions by Sam Jacob, Stephen Kieran and James Timberlake, Michael Meredith, Pier Paolo Tamburelli, Deborah Berke. Interviews with Rem Koolhaas, Stanley Tigerman. 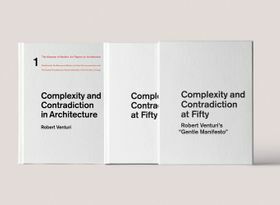 First published in 1966, Robert Venturi’s Complexity and Contradiction in Architecture, widely considered the foundational text of postmodernism, has become an essential document in architectural theory and criticism. This new two-volume boxed set presents a facsimile of the original edition paired with a compendium of new scholarship on and around Venturi’s seminal treatise. 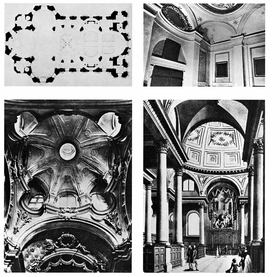 Featured image is reproduced from 'Complexity and Contradiction at Fifty: Robert Venturi's 'Gentle Manifesto.'" FORMAT: Slip, hbk, 2 vols, 6 x 8 in. / 296 pgs / 450 b&w.